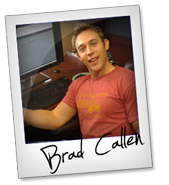 I have been a big fan of Brad Callen products if you don't know who is Brad Callen let me tell you about this guy. He is an internet marketer who is known for developing several seo based software and informational products he owns and operate Bryxen Software INC under which all the products are developed and executed. I have used many of his products but some of them are my favorites so i thought of writing about some of my personal favorites. 1 ) IWriter.com : For any online business you need one thing "content content and content" and that too high quality ones being a blogger creating content everyday can be a daunting task and sometimes it can becomes too much time consuming that several other important task like marketing your blog left behind after joining iwriter has been a great help i have been using it since 2 years from now and many content of my blogs are written by iwriter authors. You can easily get your content written by spending merely 5$/article but there are some cache that you need to understand basically there are three levels of authors Standard, Premium and Elite Plus if you think of using iwriter then only choose premium or elite plus writers this will save a big amount of time because only then you can get the most high quality articles. For writers: I haven't written much for iwriter because basically i use it for getting content but i have seen many successful authors earning some good paychecks by writing over there it's the best "get paid to write" program i have found till now. 2) Ak Elite : This software i bought on June it's a software program that helps you rank your kindle eBooks. You can find several software that help you rank better on the search engine but nothing have been made for amazon search engine. Using this software you can ensure that your kindle ebook going to be found at amazon searches, not only this software helps you in getting better ranking but also with ak elite ebook club you get real verified reviews for your kindles. Ak elite is not sophisticate product it's really easy to use and most of the functions are automated so not much work on your part. The good thing i liked about this software was that it paid for itself the money that i have made selling my kindles was much more then what i have paid for this software piece. 3) Seo Elite : SEO elite is a complete seo tool if you are not using then you are doing nothing for your organic traffic. There are many factors that leads to better ranking of a website what seo elite does is that it spies on top 10 results on Google and provide you insight on why they are ranking on that spots it helps you make right changes to your website so that you can outrank them and get what they are getting "visitors". Competitor Ad Analysis : It analysis your competitors to and provide you many detail information about what keyword your competitors are bidding on along with how much money they are spending, their daily ad expenses, what landing page they are sending their visitors into. This will give you clear advantage with that information you can just copy what your competitors are doing. Easy Competing : This tools also generate the exact amount you need to spend to outbid your competitor ads many times while creating ad campaign you actually spend more for each click then you generally require by obtaining right amount you just have to spend that particular amount so it saves a big chunk of money out of your ppc budget. 5) Niche Finder : This is also one of my best tool which i am using currently there are many other niche finder tools but features that this tool gives are rare and unique and it saves a lot of time while doing my niche research first of all the best feature i want to highlight is difficulty level, by entering any keyword you will not just provided with number of searches but also beside that you will find difficulty level which gives you an idea about how much hard is to rank for that particular keyword so you can skip hard keywords that are hard to rank on. Along with that it automatically searches any available domains or expied domains based on that keyword for adsense publishers you can check how much money you can make for each click if you create an adsense based website around that keyword. 6) Affiliate Elite : Affiliate elite is the best tool for anyone who is earning money via affiliate marketing. The biggest problem in affiliate marketing is to find right product to promote a bad products often waste a lot of time of an affiliate the problem doesn't ends here most affiliate networks are loaded with thousand of offers and their are not sure way to know people are keen to buy certain product Affiliate elite analyses the search trend of a product and displays it in simple graph if a product graph has an upward trend then money can be made in then if it's goes down then you are just wasting your time.